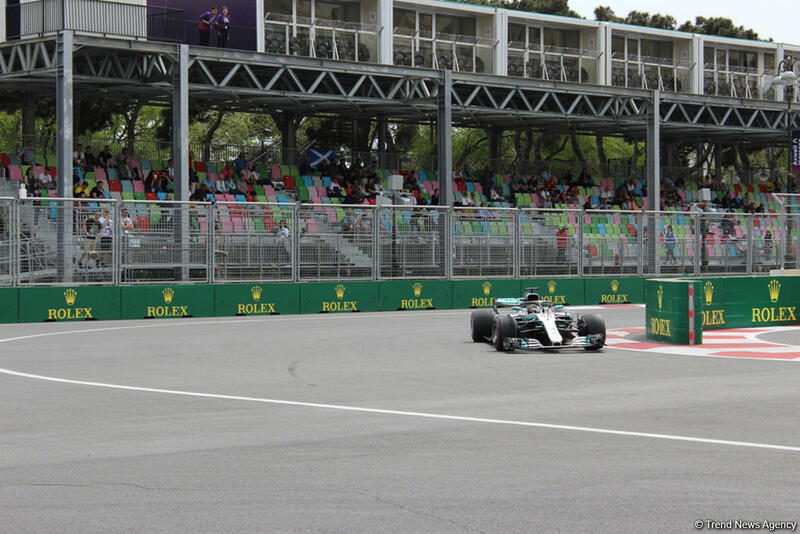 Formula 1 second practice session within the 2018 F1 Azerbaijan Grand Prix kicked off in Baku on April 27. Twenty drivers from 10 teams are competing in practice session, on the six kilometer Baku City Circuit. Mercedes AMG Petronas pilot Valtteri Bottas showed the best result during the first practice session. His result was 1:44.242. Red Bull Racing pilot Daniel Ricciardo slightly trailed Bottas and took the second place with 1: 44.277. Sergio Perez (Force India) took the third place with 1:45.075. The 2018 Formula 1 Azerbaijan Grand Prix has kicked off in Baku today. Formula 2 practice session and qualification, and Formula 1 first practice session have already been held.